Gilberto, a teacher in Pistoia, falls in love with Margherita. 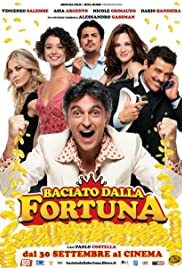 Valentino and Salvo, unemployed and in search of fortune and recommendation, leave Palermo for Valentino's home town, Monteforte, where they will try to survive the Italian crisis by opening some sort of hospice. Salvo and Valentino are two happy Sicilian friends, who do not want to work, because they know that if they find a permanent job, their girlfriends will ask them to marry them.